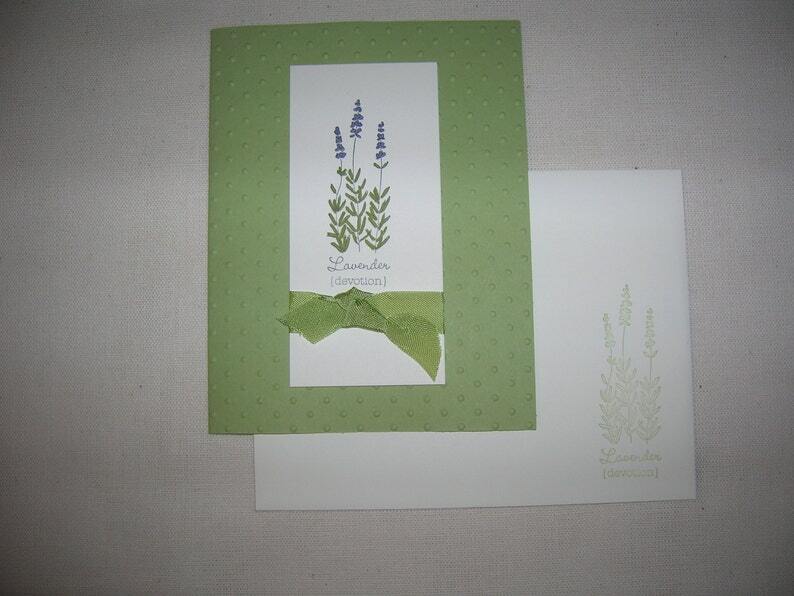 One soft green with lavender accents thinking of you card. Embossed polka dot card base with a sprig of lavender and a small piece of delicate seam binding. Size 4 1/4" x 5 1/2". Blank inside to write a heartfelt sentiment.